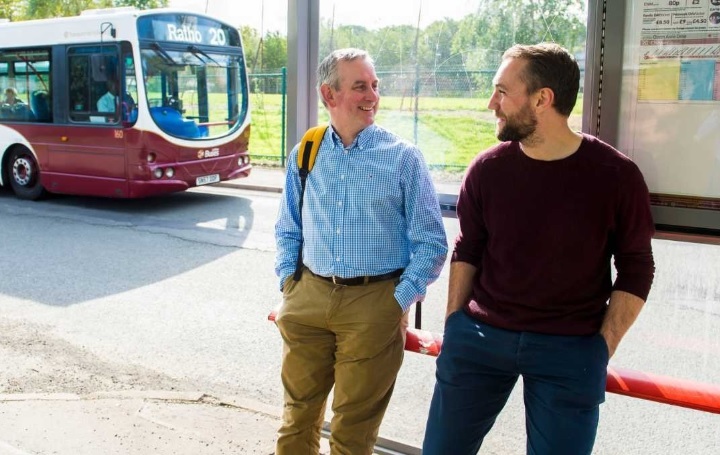 Walking, cycling and sustainable travel schemes across Scotland have been awarded a share of £1m, with the aim of changing people’s everyday travel behaviour. The grants, which range between £5k and £50k, come from the Smarter Choices, Smarter Places Open Fund – managed by Scotland’s walking charity, Paths for All. The fund has been established to cut Scotland’s carbon emissions, improve air quality, reverse the trend towards a sedentary lifestyle and tackle health inequalities. Grants have been made to 45 public, community and third sector organisations who have come up with new ideas to encourage people to walk or cycle for everyday journeys, or use public transport for longer trips. The projects to receive funding include developing a car club in Ayrshire, expanding an active travel programme in the Western Isles, creating artist-led walks in Edinburgh, and raising awareness of active travel options for older people in Falkirk. I can understand the benefits of cycling for health, leisure, pleasure and partly for short journeys to and from work and going to the shops etc. But can we really in any way, shape or form expect it to be the daily commute to work over greater distances? One of the reasons schools close down in bad weather is that staff can not get to school. The reason for that….they no longer live locally, within walking/cycling distance as once they did. It’s sometimes a 50 mile journey to school and the same back home. Some would like the apparent utopian lifestyle that parts of the Netherlands have enjoyed but their society works on different principles and levels than ours. They did not need to embrace the car after the world war but we did. With increased prosperity in the 1950’s many young people found work well away from the Mill and the town they grew up in and moved far away thus making transport a requirement for social and commercial purposes. It seems not a day goes by when a news item on the RSGB forum refers to yet another initiative to promote walking and cycling as if they’re recently discovered new phenomenon. Enough….we get it. Walking and cycling are not new – we’ve been doing it since time began (a bit less for cycling perhaps, only dating back to when the wheel was invented) and we know what they are and how to do it and how pleasant it can be but…there are other quicker and more practical ways to get about as well, when necessary. Those of us who like to walk and cycle, already do so anyway without having to be reminded of them, but there are times when equally we prefer to get into the car and drive….which is equally pleasant but more practical and quicker. Sometimes I walk or cycle to the local shops weather permitting – 20 minutes each way and quite pleasant – but usually I drive because I know I will have to transport the things I bought in the shops back. A few years ago my car was off the road for three weeks during a hot summer and initially I embraced with some enthusiasm, the idea of walking, cycling and public transport to get about – my enthusiasm only lasted five days unfortunately before I gave in and hired a car, not to mention the relief when I got my own back. Can we not accept that walking, cycling and driving are equally acceptable modes of transport and can be deployed as and when we choose without feeling guilty?